Contributing from your IRA to a fund at the Community Foundation (IRA Charitable Rollover) is an easy way to reduce your tax burden and make a significant gift to support causes you care about. In retirement the IRS requires you to withdraw a certain amount (a required minimum distribution) from your IRA each year whether you need the funds or not, and you pay income tax on every distribution you take. You can utilize part of your RMD to direct a gift to participating nonprofits in the Monterey County Gives! year-end campaign. If you are 70 1/2 or older, you can make a gift from your IRA account to the Community Foundation. Gifts made from your IRA (up to $100,000 per year) are not reportable as taxable income and qualify toward your required minimum distribution which can lower your income and taxes. If you are married, your spouse can also make a gift of up to $100,000 from his or her IRA, for a total of $200,000. 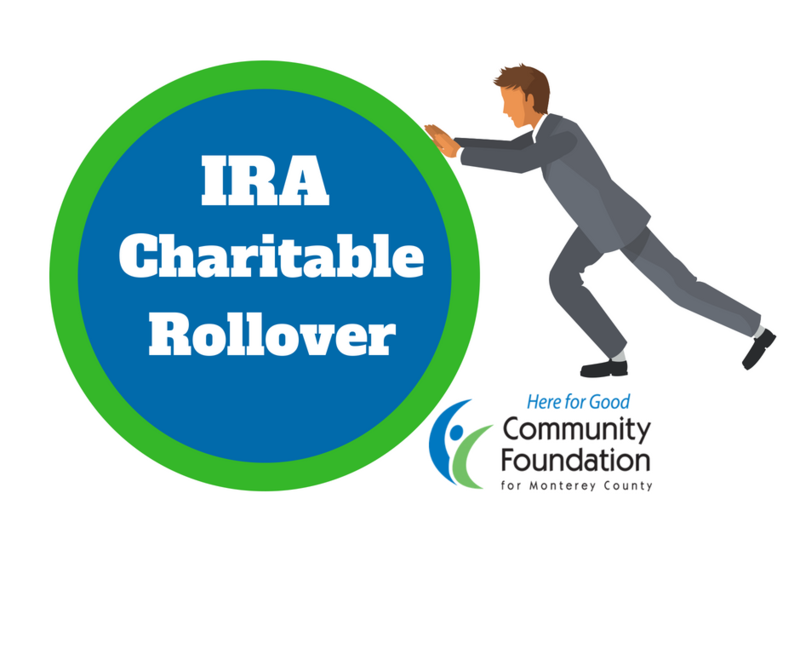 You can request an IRA Charitable Rollover to almost any type of fund*, including general endowment, field of interest, designated, agency, and scholarship funds. With an IRA Charitable Rollover you reduce your taxes, set up a fund to benefit one or more organizations that you care about, and you feel good knowing that you were able to make a major gift from your IRA. Note: *Tax-free IRA contributions can be made to Field of Interest, Unrestricted, Designated, special funds (including Monterey County Gives!) or operating funds at the CFMC. Gifts to Donor Advised Funds, private foundations, or to fund a Charitable Gift Annuity or Charitable Remainder Trust do not qualify for preferential tax treatment. You cannot receive any goods or services in order for an IRA rollover gift to qualify for tax-free treatment.